The topic of homeschool and socialization is quite honestly boring. 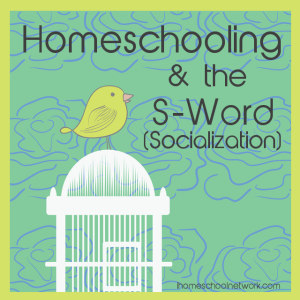 Won't your homeschooled children be unsocialized? Do you think you are preparing them for the real world? Children need to go to school to learn how to "socialize". You can't shelter them forever. What I realize now is that these criticisms aren't mean spirited or malicious. They are simply the wonderings of misinformed or uniformed people who have trouble keeping their opinions to themselves. Sadly, I have encountered this attitude among people in my life. Sometimes they are relationships/people worth winning over and saving. 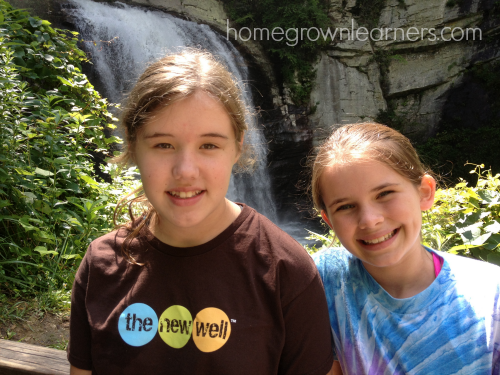 I realize it took ME several years to warm up to the idea of homeschooling, so I get the reservations. Other times, it's best just to part ways. Obviously my husband and I do not believe we need a large "school" environment to socialize our children. We do, however, believe in choosing quality activities and peer groups for our children, so they can learn PROPER socialization and not be at the mercy of harmful influences. Why do we have to "buy into" society's definition of socialization? So when people accuse me of sheltering my children - they are CORRECT. I DO shelter my children. It is my God given duty to train my children up in the way they should go. After all, I don't answer to the critics. All this being said, I believe it is important to selectively choose friends and activities for our children. I like to call it "sheltered socialization". My youngest child (who has never been to any type of formal schooling besides preschool) participates in baseball camps and teams. Most often, he is the only homeschooled child on the team. 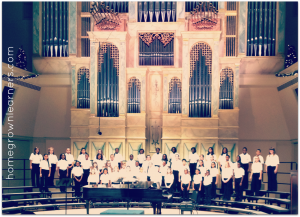 My daughter sings in an auditioned children's chorus here in the Atlanta area. Children come from homeschools and many public and private schools to sing in this elite group. If you walked into a rehearsal you would see no two children that looked alike. The diversity is wonderful. The director believes she is shaping PEOPLE, not musicians, and strives to create an atmosphere of honesty and trust. We are members of a small church. Anna participates in the youth group. She also went on a mission trip last summer with this same group of middle school youth. My son has a sweet Sunday School class - with teachers that love and appreciate him. He has great little group of friends through our church and I love that. Anna has volunteered at the same preschool she attended. This has been such a wonderful way for her to learn to work with small children, and also to interact with the teachers and parents. 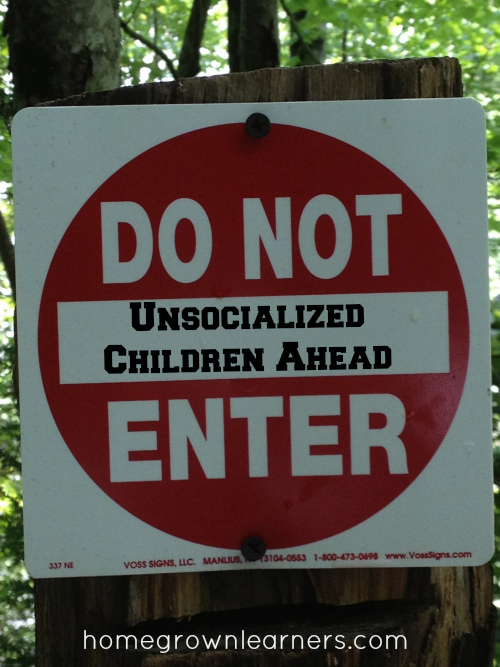 Socialization doesn't just mean knowing how to act around other 12 year old kids. It means knowing how to function in our big world - a world that is much broader than the 4 walls of a classroom. Yes, we are selective about the friends our children have. I've found that through homeschooling our children are actually very content to be on their own a lot of the time. The friends they do have are friends that LAST and who they genuinely care about. Our kids - because they aren't worried about fitting in with the crowd or impressing other people - have been more free to cultivate deep, lasting relationships. A constant in Anna's life for the past several years has been a sweet friend Paige. I have never seen two children that have such a genuine respect and appreciation for each other. Her mother and I marvel at that. They have a lot in common, but they also are very different. This year, my daughter is in the Challenge program at Classical Conversations. In this group she has a peer group of EIGHT children. 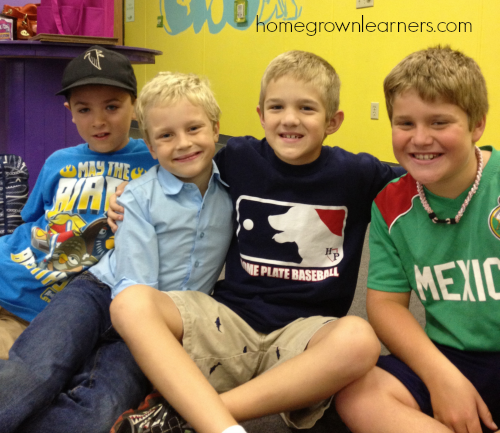 They spend a day of school together, eat lunch together, and are forming a nice relationship with each other. Grant is developing a great little group of friends... it's nice to be a part of Classical Conversations, where I know we are with like minded families. During these formative years we believe it is important to create opportunities for positive socialization, so that when our children are grown and away from home they will have a solid foundation to stand on - and always a family (who was their primary socialization!) to come back to and rely on. We are, after all, striving to raise Godly leaders for the next generation. 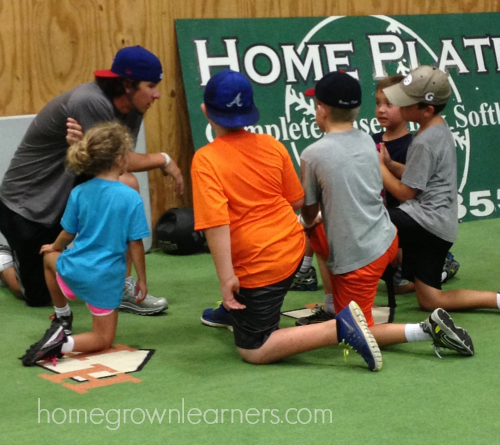 These are just some of the ways we "socialize" our children. If you knew my kids you would just laugh out loud at the thought that they aren't socialized. I'm sure you homeschoolers out there have many more examples of how you give your children positive social experiences. Care to share them with me? 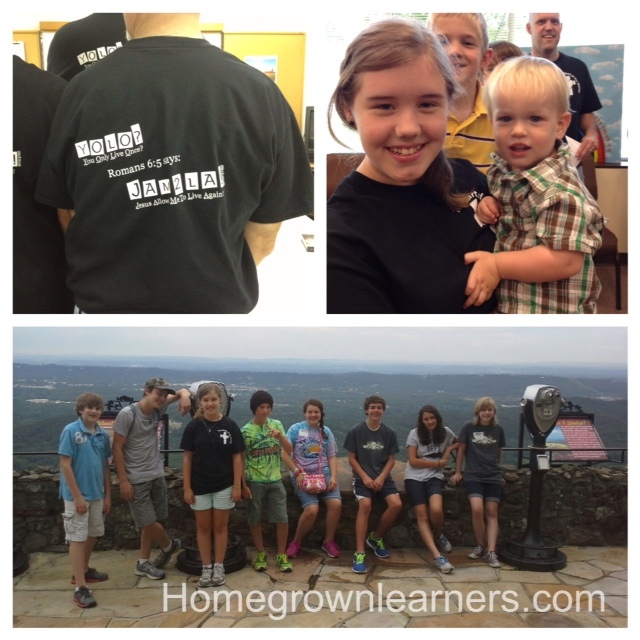 Then, visit other bloggers linked up today through the iHomeschool Network's Homeschooling and the S-Word!